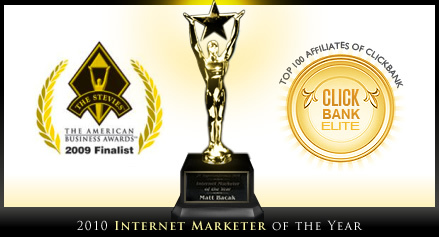 Matt Bacak is considered by many an Internet Marketing Legend. Using his stealth marketing techniques, he became a Best Selling author with a huge fan base of over 1.2 million people in his niche as well as built multi-million dollar companies. Matt is not only a sought-after internet marketer but has also marketed for some of the world's top experts whose reputations would shrivel if their followers ever found out someone else coached them on their online marketing strategies. Check out his blog by clicking here. 1) It's a cool mind map of my Internet Millionaire Mindset book (sold on Amazon and at Barnes and Nobles). Access the Mind Map by clicking here.